Kelly and Justin return with a tasty beer from Stone Brewery, the I'M PEACH - A super tasty double IPA with some of that sweet peach! Then we head to the Cobra Kai dojo to SWEEP THE LEG! We also head to the cinema to clear the back log of cinematic adventures! Ready Player One, Game Night, Blockers, A Quiet Place, Avengers Infintity War, Deadpool 2 and Solo: A Star Wars Story...WHEW. We also talk about our ideas for future Star Wars movies! LET'S GO! 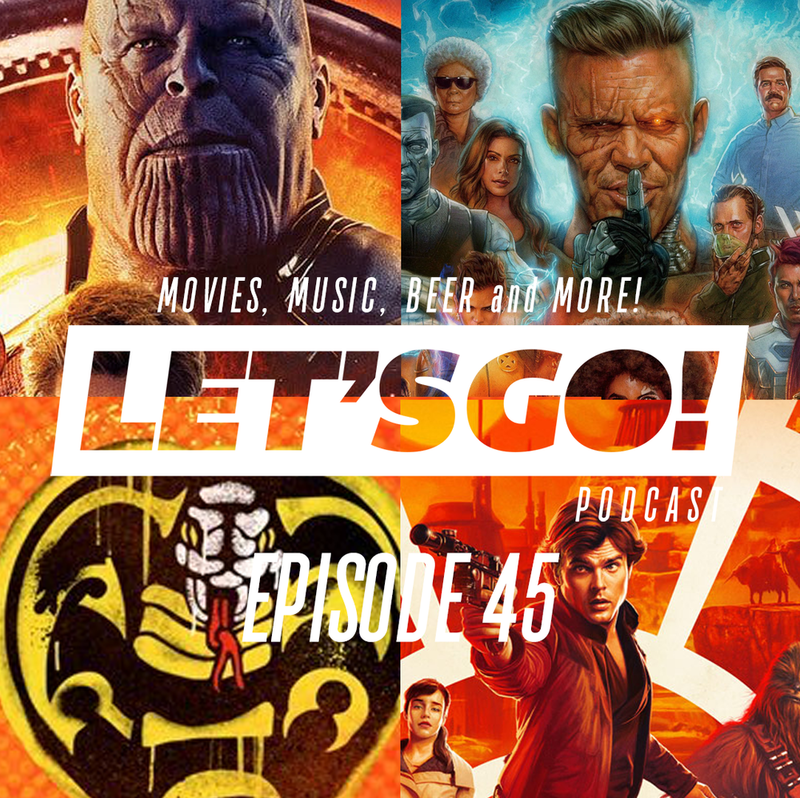 Quick recaps of Ready Player One, Game Night, Blockers, A Quiet Place and we give some thoughts on Avengers Infintity War, Deadpool 2 and Solo: A Star Wars Story. GOTTA GO, LET’S GO, GO, DON'T GO or NEVER GO!